With the growing concern of security and surveillance, Police and defense agencies are constantly require security based products. The police officers face problems of identifying, tracing and later catching the thieves and pick-pockets. Monitoring telephone conversations is a challenge for the defense agencies. Crime branch agencies always require ensuring accurate and reliable voice recording system for calls without interruption. Aria Telecom Solutions newly launched a Unified Communication System for the same named ARIA PARTH. Parth UCS is an advanced tool for not only voice recording of various incoming & outgoing conversations of targeted telephone numbers but it also incorporates GIS integration to analyze crime hot spot. Parth Interception Logger is cost effective recording solutions which can service investigation agency to record conversation of target automatically. The System is not only useful for police department, it can be beneficial in various sectors like call centers, corporate, government organizations, share brokers, insurance & financial organizations etc. Why do you require call disposition? Call Disposition is an easy way that describes outcome of each call so that useful business analytics can be obtained. Call disposition is applied to call records in contact centers to categorize or describe a call. This can be great help not just to your team as well as your organization. Various team’s process can be optimize using call disposition such as number of calls in a certain amount of time can be measured, how many of the calls resulted in a sale, answering machine, dropped call, busy signal, return, transfer to tech support and many more. Basically, this can help you improve efficiency as well as your whole customer service experience. Easily keep track of call when agents are using power dialer. Call disposition enable agents to streamline follow-up information and alert teammates in an easy, effective, and quick manner. Sales teams can quickly log data like lead source and other information they need to qualify leads such as company size and budget. It is simple to create campaign lists with the contacts that are most likely to have a positive response. Call Center Software is a best tool that allows maintaining all communication of a call center or organization. Every organization requires a best contact center software solution to connect and maintain customer relationship. Aria Telecom offers much needed Unified Communication System suitable for small to large call center application. Providing solution for inbound or outbound call center or blended operations. The system is integrated with autodialing applications of call center like : predictive dialing, preview dialing, manual dialing, multiple campaign, multiple ACD group and many more. CRM (Customer Relationship Management) is helpful to record and access the right information of customer to improve the overall customer experience. With 45 field CRM, it can be customized as per client requirement. The most important part of the system is live monitoring which can monitor all the campaign and ACD groups. Telephone recording is a best way to record and maintain which has been held between your customer and your organization.This product provides 100% conversation recording of calls. MIS report shows all the details of employee information, calls with date and time. Agent report, ACD report, call recording, incoming/outgoing report and other type of MIS report can be generated. From past few years, business interaction over phone calls plays a major part in daily operation. According to business requirement call records such as order booking, customer complaint, payment collection etc are conducted over phone. Call recording is a practice of listening and assessing conversation between callers or call center agent and customer. Voice logger is easy to use and reliable telephone voice recording system. Voice logger helps to improve customer service by reviewing telephone conversation with customer. It can be used in multiple sectors like IT companies, BPOs, Corporate, Hospitals, Banking sectors to record and analyze telephone interaction. Primary Rate Interface (PRI) is a form of telecommunication standard – ISDN (Integrated Services Digital Network). ISDN enables telephone lines for digital transmission of data or voice. ISDN PRI Logger is complete conversation recording for all incoming and outgoing calls. Aria Telecom offers various range of voice logger system that provides tailored solution as your business requirement. Aria PRI Voice logger allows you to record phone conversation through PCI-e connectivity. It can be connected with direct exchange line, GSM gateway, PBX router etc. Most of business and organization requires that their inquiry, complaints, order booking and other conversation can be made over telephone. These conversations are important and they also require recorded call conversation for future reference. Aria Telecom is professionally managed company committed to provide superior range of telephone voice recording system to customer. Voice Logger is extremely essential tool to record phone call conversation generally in call centers, BPOs/KPOs and other telecom industries.We are pleased to serve our customer PC based and non PC based voice loggers that are totally suits to all kinds of contact center needs. Aria Telephone Voice Recording System is helpful in improving customer service by reviewing the actual telephone conversation with your customer, so that you can assure that how fairly you are maintaining issues. Embedded Telephone voice logger called as non PC based telephone voice recording system. It voice recorder works as standalone voice logger as it does not require personal computer. The standalone voice logger stores recorded calls in SD card, hard disk etc and can be used with direct telephone lines, EPPBX extension, VOIP FXS/FXO etc. Medical related phone calls, Banking calls etc. 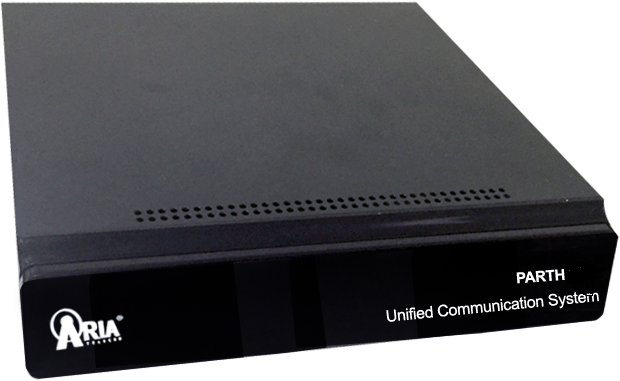 Scalable up to 64 channels divided in four channels. Can be interfaced with telephone lines and wireless. 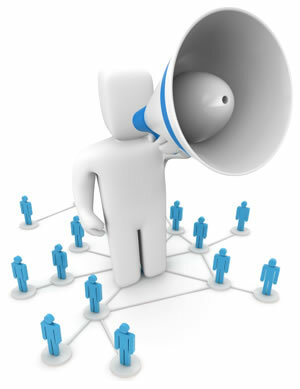 Communication is most significant aspect of business environment. When quantity of employees increases, they spend more and more time on the phone calls. This situation mostly happens in certain industries like call centers and BPO's where level of phone call users exists in huge amount. Headsets are one of the most cardinal pieces of professional equipment of modern office environment and offer a highly attractive solutions for organizations. Choosing right headset for your environment there are various things to be considered including durability, performance, sound quality, connectivity etc. Most of telephone headsets often have noise cancelling features, which helps to hear and speak clearly in noisy workplace. Aria Telecom newly launched a best quality and good looking Professional Unified Communication Headset that helps you to maintain professional image. AR 181UC-QD Headset especially designed for UC platform and delivers world class sound. This headset is the ultimate headset for the user of Unified Communication with Microsoft office communicator. Compatible with Microsoft® Lync 2010 and Microsoft® Office Communicator. Interactive Voice Response System plays a valuable role in providing efficient customer services. Whenever users call a customer care number, they hear audio and give inputs by pressing a number. IVR is a technology that accepts a combination of voice telephone input and touch-tone keypad selection and provides response in the form of voice, email, fax or other media. Interactive Voice Response System enables callers to get the information with any human intervention. Outbound IVR is used to proactively deliver automated telephone based communication. This technology provides facility to automatically engage with customers or clients through multiple channels like voice calls, voice messages, email and other media of outbound notifications. In other words we can say that outbound IVR system can make number of calls and conduct automatic phone survey that will bestow valuable data for you and your company. Voice broadcasting is just like phone notification technique that delivers pre-recorded voice messages to thousands of client at a time. With Outbound IVR and voice broadcasting, your message or information materialized to meet exact requirement of your customer. So when an event occurs in your organization, you can quickly react with voice notification. Government organization, corporation, insurance companies and other various sectors make use voice broadcasting service in order to outstretch their reach. Aria telecom researched all the necessary things in various business sectors which are required in outbound IVRS named Aria VC60 and designed in the same manner. Automobile industry involves designing, developing, manufacturing and selling of motor vehicle. OBD IVR can be useful for sending service reminder, insurance due reminder of vehicles. Healthcare service providers need to ensure complete satisfaction of patient by providing world class services and support. Our IVR healthcare solution is helpful for sending appointment reminder, Immunization alert and other healthcare updates. A powerful event marketing strategy is at the heart of every successful event. Events like festivals, conference, ceremonies, formal parties, concerts, conventions etc can be notified using Aria Voice Broadcasting IVRS. Reaching to your customer with recorded voice messages can be very powerful marketing tool for small to large business organization. Our voice blaster IVR system is useful for various organizations for advertising and promoting their products and services. Automated outbound calling for political campaigns can provide candidates with a modern approach to voters. Using this technology people will be able to get the required information easily which helps to turn to polling station to vote. You can make awareness to the people about the leader and by using SMS, voice calls can make better connectivity with the people. Aria Telecom's Client : Amar Ujala Publication Pvt. Ltd.
Amar Ujala Publications Pvt. Ltd. is a daily newspaper publishing organization in Noida (UP) India. It is one of the oldest and leading news paper companies in India. Amar Ujala news paper publishing company offers the perfect platform to reach out to the fastest growing market, current events and other information. This is the third largest Hindi newspaper publishing company in India. As an employee of a business organization or a call center, you will come across lots of phone calls on the daily basis. Handling these calls can either lead to successful solution or losing your customer forever. Most of the time, calls are not handled properly and lead to plenty of missed calls. Amar Ujala Publications Pvt. Ltd. was looking for a system which can provide solution which can manage missed calls which are thoroughly received for advertising booking. ARIA TELECOM offered a Unified Communication System-PARTH with all the solution to our client. Unified Communication is technology which improves not only efficiency but communication experience as well. It make easier to connect, interact and collaborate with people. When client will make a miss call on given number, system will drop a pre-defined sms to the client. Auto Dialer is used to dial telephone number automatically. Once the call is answered, auto dialer plays recorded messages or connects the calls to person. System starts dial on missed call number automatically. After connecting to customer call will be transfer to available agent. Agent panel will be able to manage and control all the calls received at our panel. As your customer connects with the agent , agent will fill the details of customer in CRM. After disconnecting the call, agent will drop a sms or email to the sales person with all the details. Some details will be share with another two senior person. A reminder message indirectly says to your customer that you care about them. To achieve this you need a reminder service to track and remind your customer and employee. Automatic reminder sends reminder to your clients or customers so that they will look back to your lead. System will send a reminder to agent for the follow up of lead so that he will call to customer to take feedback. If your business has a call center and expending in call center suites that can be beneficial for call center process by improving customer service and enhancing efficiency in communication system. When your customers need help in something and have questions something about then customer satisfaction is critical. Customer calls in hope that you have their information in hand and you will provide the solution in efficient manner. Aria Telecom has introduced a latest technology integrated into a system named “PARTH”. The system in specially designed for call center and BPOs where number of calls are managed every day. PARTH-Unified Communication System is a combination of various contact center solutions including IVRS, IP PBX, Telephone Recording System, Audio Conferencing, helpline system etc. Our Call Center Suite has inbuilt contact center application features which are useful for both inbound as well as outbound call centers. Available with 100% call recording whether it is inbound or outbound call. 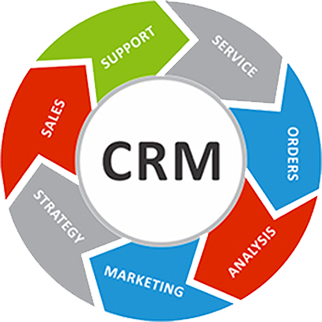 CRM can be customized as per client requirement. Third party CRM and ERP can also be integrated click to dial, phone book etc. Various MIS report including Agent report, Agent Performance Report, ACD report, Campaign wise report, incoming/outgoing report and many more. Live monitoring of your campaign and ACD group can be done. IVR technology allows individual to interact through the use of voice and DTMF (Dual Tone Multi Frequency) inputs. For every business organization, everything begins with customers. So it’s their job to provide better customer experience to keep your customer happy. Customer always looks for free services to resolve their problems or queries without any payable charges. Toll free number is a customer service number that can be dialled with no charges to the person placing the calls. Toll free number is must for every organization if you wish to provide customer satisfaction. Aria Telecom is working towards the service which could provide an easy way to their customer without any interruption. This project was fulfilled by Aria Telecom through providing Aria Parth for Toll Free Diagnosis. Aria Parth-Unified Communication System provides smooth and convenient way to diagnosis all the status of calls. Aria Team is working very efficiently to provide these services at customer’s end. The system helps to monitor connected calls with specific details like time and date. It checks connection stability of calls and verification of calls with all the relevant information. Gateway plays an important role in the toll free number service. Gateway will dial number according to default settings of time and provides all the report. When number will be non contactable i.e. contact number is not reachable, SMS will be deliver to specific mobile numbers. Email alert is also provided by the system, Dial report will be email on specific email ID. Toll free number service makes it easier for your customer to reach you. It helps to improve your customer service and satisfaction by being available to take their call. Toll free number service can help you to better track of marketing of your business and product. It makes affordable customer calls and makes call tracking easy. Customer Relationship Management is most efficient approach in maintaining relationship with customer. It is very easy for any organization to identify the actual requirement of customer and help them to serve in effective way. CRM is a system that provides facility for an organization to store, organize and synchronize records related to customer interaction. Aria Telecom is leading telecom service provider and also available for customer relationship management services and solutions. Aria CRM builds a Database for customer and relationship that is hold with the organization. The stored database can be easily accessed, managed and updated. Our CRM provides enough details for products or services that matches as per requirement. It contains information of past purchases, who is involved in the account and summary of all conversation. Every business requires for removing the distance between client and customer support. A Ticket Management facility is a significant tool to maintain better communication with every client. We provide Ticket Handling facility in our CRM. If you have lots of request or complaint, it keeps track all the information in one place. You can easily determine which department or team is receiving the most support requests so that you can allocate accordingly. 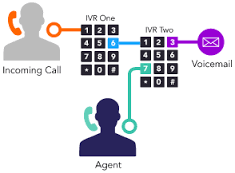 IVR (Interactive Voice Response) is an automated telephony system where information is made through the use of voice or DTMF (Dual Tone Multi Frequency) Keypad. IVR technology allows the individual to communicate with phone system and obtain require information. Aria Telecom R&D department developed the robust IVRS based complaint booking system for MES (Military Engineering Service) which allows user to register a complaint with DTMF inputs as well as get status about same complaint. MES, Military Engineering Service provides maintenance service to the service man for their resident’s quarters & offices. These maintenance services include services for plumbing, telecom, electricity, civil work, carpenter, housekeeping etc. First of all, when IVR application answers the call, than a welcome message will be display. Now system will ask to choose two options. Press 1 to check complaint status and press 2 to register complaint. System will ask to enter your ticket number. if your entered number is correct system plays recorded status and you will get a SMS/Email if your complaint will be resolved. You can listen status again by pressing 1 and hang up your call by pressing 2. If your ticket number is incorrect, you need to enter ticket number again. System provides option to register various types of complaint such as Electrician, System Repair, Telecom, Housekeeping and Plumber. When your complaint will be lodged, ticket number will be generated for you. An Email or SMS also will be send to technician or customer with ticket number. At the end, you will have three options: to listen ticket number again, to register another complaint and to hang up the call. In most of the Call Centre, background noise is a real problem for communicating. Noise cancelling headsets helps to remove those unwanted sounds while preserving an original voice. Using telephone headsets, office workers can concentrate on customer information and queries by making hands free communication. Choosing a correct headsets in your workplace there are many things to be considered including durability, performance, sound quality, connectivity etc. ARIA developed bin-aural headset for call centre agents and busy professional that spend many hours on the phone every day. Aria Telephone headset meets all the demands of phone intensive environment. The noise cancelling mike filters out back ground sounds, for clear voice transmission. That helps you maintain a professional image by the calls & productivity and makes it easier to be clearly understood. It comes with blended microphone arm and allows users to flip the boom arm outward during coffee breaks. Having police protection in the workplace is often a safety measure that may deter the criminals. In emergency, people generally attempt to contact the local police station to get police services. But contacting right police station or right police officer is always a big challenge in the present time. 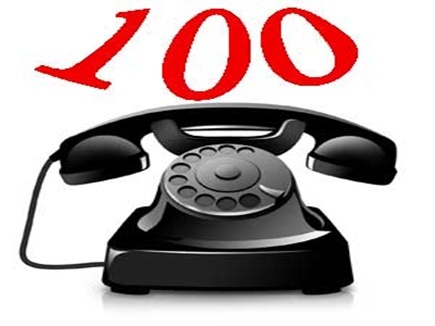 Dial 100 is meant to take prompt action by sharing the information received through phone calls with the concerned police station or police officer. Aria Telecom has Dial 100 service, to help people connect to the police and get police assistance anytime, anywhere. "DIAL 100 Police Response System" is a simple CAD (Computers Aided Dispatch) System to handle public calls for police response. To enable the general public to make emergency calls for getting prompt and effective police services. Aria Telecom provides a flexibility to create your own CRM. First time call will land on Aria System. An option has been provided in the CRM to enter call dispositions, where agent will choose name of the Police Station, Police Officer etc. SMS will get dropped on the basis of selected dispositions by the agent. As soon as the complaint gets resolved by the Police Officer, he will send an update to the agent(s). Search option shall be provided as agent will search the complaint number and shall update the latest remark & close the complaint. The automated 'Dial 100 System' handles calls incoming from PSTN, GSM/CDMA/WLL Media. It will have two call takers, two dispatchers and one supervisor console. Supervisor console shall be able to work as call – taker in case of need. Facility for GPS-enabled Automated Vehicle Tracking System (AVTS) shall be available. The PA (Police Assistance)-100 operator and dispatcher positions should be equipped with facility to add text in English to the Incident Sheet. The System shall be integrated with the Telephone databases to get the address of the caller. The System shall be integrated with the centrally integrated Digital Voice Logging System in addition to the individual recording of calls. All possible online/ offline reports shall be available in tabular form. Automated Dial 100 System has various call center facility. All the PA-100 calls will be directed to the call center. Ring of the distress caller’s phone should ring on PA-100 operator’s head set and also flash on the screen simultaneously on the concerned dispatcher screen in case of an emergency call. Call taking and data Input:- The role of a call taker is very important because it is the source which has to communicate through people who are in trouble and has to feed all details fetch from them in database of Police Dial-100 Systems. The default timings will be provided to call taker to fill all the details correctly in the system. This is the person who has to act very actively because they have to listen to people’s problem and pass all the information accordingly to Police officers who are on duty to act instantly. Emergency Case:-An emergency is a situation poses at immediate risk and are about to Control In frequent mode…In that call taker will automatically has to increase their response time with filling up minimal details of people (Like Event& Location)The dispatcher will be informed with all an updated status. There will be further action to be conferencing system through which dispatcher gets directly in touch with the people in trouble with further action to move properly. ACD (Automatic Call Distribution) technology automatically routes calls to phone agents based upon organizational rules. Automatic call distribution is much more comprehensive than other group or department calling. The bidder provides ACD software for 5 agents for PA-100 operation in call centre. ACD Software must support the call routing based on caller ID, called number and skill based distribution. System allows prioritizing of agents as well as calls in queue. The call transfer facility is available from one position to another. If there is an available agent that matches the call type, the call should immediately be sent to that agent. If there is no available agent, the call is placed in queue with music should become active only in case of all the PA-100 agents are busy. The System will provide a graphical real time display and historical reporting of the calls to agents and supervisors. The System will also support flexible reporting with open database access for third party reporting. Call statistic reports, Call Status Report, Call Audit Report, Call Lost, Calls routed to PA-100, Calls routed to inquiry etc. and other reports as required by the user from time to time will be available for monitoring as well as taking printouts. The main and important feature is to call by call reporting as well as Event Based Call Reporting for each & every Calls. A Contact Center is a Centralized Office that is equipped to handle large number of requests on telephone by the customers of a particular organization. We can say that a Contact Centre is generally part of overall Customer Relationship Management of Enterprise. Call Centers offer various services to its customers e.g. answering calls, performing lead generation, assisting customers in conducting surveys and compiling relevant data, etc. As the contact center grows across the globe, enterprises are adopting global sources and services that help to process operation of that organization. A customer service center handles additional types of customer communications such as letters, e-mail, faxes, and live chat, in addition to telecommunication. Today, the customers demand better services everywhere. They not only wish to be treated better but also expect quick and timely response. In this context, it is important to understand customer needs and expectations in call centre environments. Thus, in present scenario where customers are so demanding, it becomes most important to maintain high customer satisfaction score. What kind of services and products does a contact center use? Aria telecom has progressed itself to become a global leader in voice processing industry and provides complete contact center solution with various service and products. IVRS (Interactive Voice Response System) is such a solution to automate the contact with callers. Suitable for domestic as well as international call centers. IVRS is a computerized phone system where telephone is used as a device to input information. IVR designer tool consists of language selection, greeting section and other section so that user can design IVRS tree as per requirement. All outsourcing companies need to join people from around the world quickly and easily. It is ideal for everyday calls among your team and staying close to clients. Audio conferencing is a simple way to get people together over the phone. It is just like a telephone meeting conducted between multiple callers. The system has inbuilt CRM that is proficient to build the database that describes the customers and relationship they hold with the company also provides enough details about products/services. Predictive Dialer is complete contact centre solution. All the outbound calls from selected user list are opened automatically and answered call with passing to the available service agents. IP PBX (Internet Protocol Private Branch Exchange) is a business phone system that is built over IP based architecture for delivering and managing voice communication system. IP PBX phone systems thus work over the Internet instead of the usual traditional phone lines.